Sifan Hassan gave her Dutch fans at the FBK Games a nice gift by improving her own world lead, winning the 1500m in 3:56.14 at the IAAF World Challenge meeting in Hengelo on Sunday (11). The world indoor champion came tantalisingly close to her own Dutch record of 3:56.05, proving that her move to the USA in the winter of 2016 was a good decision. Hassan followed pacemaker Jenny Meadows for the first 800m, completing the two laps just within 2:09. 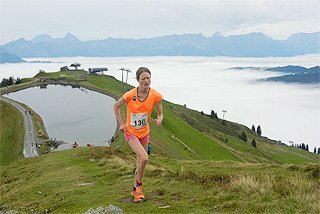 She then proceeded to pull away from the rest of the field for the remainder of the race, forging ahead to the finish line unchallenged to win by almost five seconds. Ethiopia’s Besu Sado was second in 4:00.98. Now fit again after the injuries that hampered her performance at the Rio 2016 Olympic Games, Hassan has high hopes for the IAAF World Championships London 2017. “Not a Dutch record, but I’m happy,” said Hassan, whose lifetime best of 3:56.05 was set in the race in which Genzebe Dibaba broke the world record. Maria Lasitskene also set a world-leading mark in Hengelo. The world high jump champion wrapped up the victory with her first-time clearance at 1.94m, a height that no other woman managed to negotiate. She then sailed over 2.00m and a PB of 2.04m at the first time of asking before three unsuccessful attempts at a would-be world record of 2.10m. The last time a woman jumped higher than Lasitskene’s winning mark was at the 2012 Olympics. Oksana Okuneva and Marie-Laurence Jungfleisch both jumped 1.90m for the second place, while Olympic champion Ruth Beitia was only fourth with 1.85m. With four excellent jumps – the last one of 8.62m – Luvo Manyonga was the outstanding winner of the long jump. 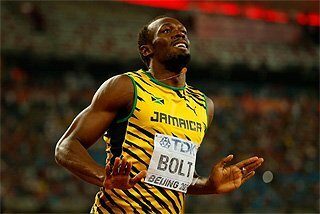 The Olympic silver medallist had jumps of 8.60m, 8.40m and 8.46m before he finished his series with the winning distance of 8.62m. 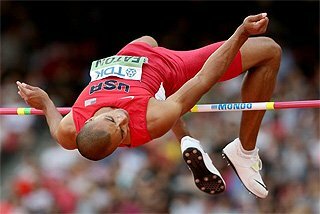 It was the first time since 2009 that a long jumper had achieved two jumps of 8.60m or farther within the same series. South African compatriot Ruswahl Samaai was second with 8.34m and Damar Forbes third with 8.29m. 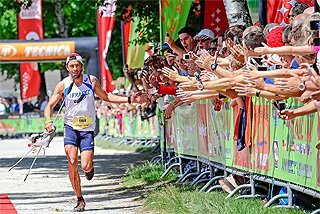 The only other athlete who surpassed eight metres was Michel Torneus with 8.10m. World silver medallist Fabrice Lapierre recorded fouls with his first three jumps and so took no further part in the competition. In the 30 minutes following Hassan’s 1500m triumph, two other Dutch victories came in quick succession. World 200m champion Dafne Schippers won the 100m in 11.08 (-1.3m/s), but was pushed all the way by Blessing Okagbare, who was second in 11.16. South Africa’s Carina Horn placed third in 11.35. “For now it’s OK,” said Schippers. “I ran 10.99 in Rome three days ago, but that was with the wind in my back.” Schippers will run at the IAAF Diamond League meetings in Oslo and Lausanne in the weeks to come. Adopting a different tactic to his usual front-running style, 2015 European indoor bronze medallist Thijmen Kupers came through strong on the home straight to win the 800m in a PB of 1:44.99. Kenyan newcomer Wycliffe Kinyamal was second in 1:45.65, also a PB, and Britain’s Kyle Langford was third in 1:45.91. 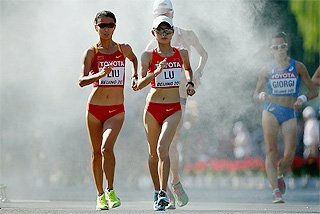 As was the case in the women’s event, the world-leading mark fell in the men’s 1500m. Bahrain’s Alsadik Mikhou clocked a PB of 3:31.34 to defeat a strong field. World indoor 3000m champion Yomif Kejelcha, making his 1500m debut, was second in 3:32.94 and Ronald Musagala was third in a Ugandan record of 3:33.65. Olympic silver medallist Sandi Morris won the pole vault with 4.75m. Olga Mullina was second with the same height and Robeilys Peinado third with 4.55m. Daniel Talbot was the fastest man in the 200m. Stopping the clock at 20.36 (-1.2m/s), the Briton defeated world bronze medallist Anaso Jobodwana (20.62) and Adam Gemili (20.64). European indoor bronze medallist Justyna Swiety took a big chunk off her PB by winning the 400m in a meeting record of 51.15, the fastest time by a Polish woman since 1986. Carline Muir was second in 51.65, while Lisanne de Witte of the Netherlands also set a PB, finishing third in 51.93. 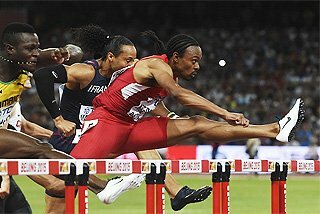 Fresh from his African record of 13.11 in Prague last weekend, South Africa’s Antonio Alkana won the 110m hurdles in 13.47 (-1.4m/s), with Aurel Manga second in 13.49 and Jonathan Cabral third in 13.52. European indoor bronze medallist Pamela Dutkiewicz won the women’s spritn hurdles in 12.86 (-0.7m/s). 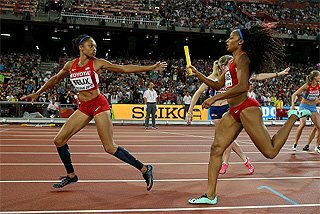 USA’s Kristi Castlin was second in 12.92 and Nadine Visser third in 13.00. European champion Tatsiana Khaladovich beat world champion Katharina Molitor in the javelin. 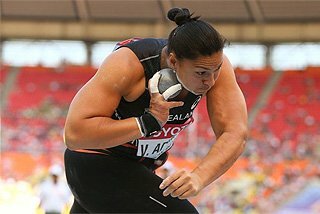 Khaladovich had two throws beyond 63 metres, producing her best of 63.90m in the final round. Christin Hussong was second 61.25m and Margaryta Dorozhon third with 60.63. Molitor finished fourth with 57.29m. Just 24 hours after winning in Szczecin, Lithuania’s Andrius Gudzius once again came out on top in the discus. The Olympic finalist threw 66.34m to defeat world leader Fedrick Dacres, who was second with 65.71m, and Daniel Stahl, third with 64.44m. World silver medallist Philip Milanov was fifth with 64.04m. 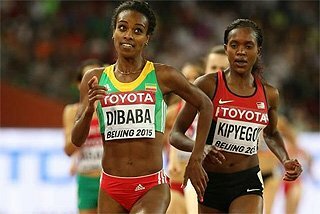 The Ethiopian federation incorporated their trials for the World Championships within the FBK Games. From an Ethiopian perspective, the highlight came in the women’s 3000m steeplechase where 2012 Olympic silver medallist Sofia Assefa produced a dominant run to break her own national record with 9:07.06. Birtukan Adamu was a distant second in 9:28.67. In the men’s race, world U20 bronze medallist Getnet Wale won comfortably with a world U18 best of 8:12.28. 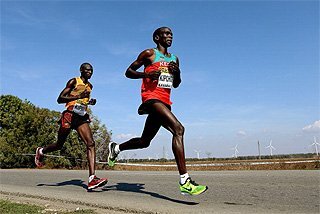 Diriba Tesfaye was in second place as he entered the finishing straight, but was overtaken by Tafese Soboka (8:13.22) and Chala Beyo (8:13.24). Tesfaye would up fourth in 8:13.33. The top four finishers all set PBs and now occupy places four, five, six and seven on the Ethiopian all-time list. Both 10,000m races produced world-leading marks. 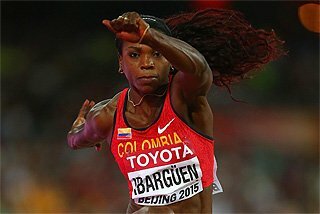 The women’s event, held on Saturday night, was won by world silver medallist Gelete Burka in 30:40.87. World 5000m silver medallist Senbere Teferi placed second in 30:41.68, three seconds ahead of 2013 world bronze medallist Belaynesh Oljira. 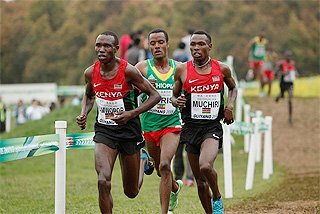 World cross-country bronze medallist Abadi Hadis won the men’s race. The teenage Olympian clocked 27:08.26 to finish ahead of Jemal Mekonnen (27:09.08) and 10,000m debutant Yenew Alamirew (27:19.86). The unheralded Samuel Tefera won the 1500m trial race in a PB of 3:33.78, finishing 0.10 ahead of national record-holder Aman Wote. World U20 silver medallist Taresa Tolosa was third in a PB of 3:34.47.